Winner of the 2017 James Fisher Prize. All book royalties will be contributed to organizations supporting Thangmi communities to rebuild in the wake of the 2015 earthquakes. Many courses with Himalayan content are taught at UBC-Vancouver. Join our mailing list to keep up to date with Himalaya Program news and events. I am a socio-cultural anthropologist working in the Himalayan regions of Nepal, India, and China’s Tibetan Autonomous Region, and serve as an Associate Professor in the Department of Anthropology as well as in UBC’s new School of Public Policy and Global Affairs/Institute of Asian Research. My research explores the relationships between political discourse, ritual action, and cross-border mobility in producing ethnic identities and shaping social transformation. Current research projects include a new transdisciplinary partnership focused on Nepal’s post-earthquake reconstruction; an ethnography of “post-conflict” state restructuring in Nepal that focuses on lived experiences of citizenship, territory and religiosity since 2006; an exploration of trans-Himalayan citizenship across the historical and contemporary borders of India, China, and Nepal; participation in a University of Toronto-based project on infrastructure and development in Nepal’s agrarian districts; and collaboration in a Yale University-based project on urbanization and land use change in the Himalayas. In the wake of Nepal’s April and May 2015 earthquakes, I was engaged in relief efforts focused on rural areas, and continue to participate in public debate and practice in this domain. My first book is titled Rituals of Ethnicity: Thangmi Identities Between Nepal and India (University of Pennsylvania Press, 2015). An ethnography focusing on the cross-border circulation of Thangmi people and their ideas about ethnic, national, religious and political identity, Rituals of Ethnicity offers new explanations for the powerful persistence of ethnicity as a category of identification today despite the increasing realities of mobile, translocal lives. The book is based on over a decade of ethnographic research with diverse members of the Thangmi community in the Dolakha and Sindhupalchok districts of central-eastern Nepal, as well as in the Darjeeling district of West Bengal, India, and the neighboring state of Sikkim. All royalties from the sale of the book will be donated to organizations supporting Thangmi communities of Dolakha and Sindhupalchok to rebuild after the earthquakes devastated their villages. Darjeeling Reconsidered: Histories, Politics, Environments (Oxford University Press, 2018) is a volume that I co-edited with Townsend Middleton (University of North Carolina). I have also published several articles on the themes of Nepal’s Maoist movement; ethnic classification, affirmative action, and the politics of recognition in South Asia; and borders and citizenship in the Himalaya. I am currently preparing another manuscript that presents Thangmi ritual texts in Nepali and English translation. This is a collaborative project with an indigenous Thangmi researcher, a Nepali translator, and a linguistic anthropologist. Multimedia technologies are at the core of my ethnographic methodology, and I am a founding member of the Digital Himalaya Project. I received my PhD (2009) and MA (2004) from Cornell University, following a BA with Honors from Brown University in both Anthropology and Religious Studies (1997). Before coming to UBC I was an Assistant Professor in Anthropology and South Asian Studies at Yale University from 2011-2014, and a Research Fellow at St Catharine’s College, University of Cambridge, from 2009-2011. My research has been funded by the Fulbright Foundation, the National Science Foundation, the Social Science Research Council, the American Council of Learned Societies/Mellon Foundation, the British Academy, the Wenner-Gren Foundation, and the UBC Hampton Fund. At UBC, I serve on the Steering Committee of the UBC Himalaya Program and as Co-Director of the Centre for India and South Asia Research. 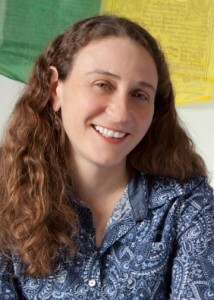 In 2017-2018 I am Wall Scholar at the Peter Wall Institute for Advanced Studies, and coordinator for a UBC Teaching and Learning Enhancement Fund (TLEF) grant to further develop the Himalaya Program’s community-engaged language courses in Nepali and Tibetan, and related interdisciplinary course offerings in Himalayan Studies.